254 product ratings - Black Motorola Droid Razr Maxx HD 32GB Verizon 4G Smartphone XT926 Clean ESN! Trending at $22.12Trending price is based on prices over last 90 days. Trending at $21.22Trending price is based on prices over last 90 days. Motorola Droid RAZR M - 8GB - Black (Verizon) Smartphone Excellent Condition! 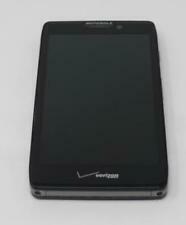 205 product ratings - Motorola Droid RAZR M - 8GB - Black (Verizon) Smartphone Excellent Condition! This page was last updated: 18-Apr 08:41. Number of bids and bid amounts may be slightly out of date. See each listing for international shipping options and costs.